No way! 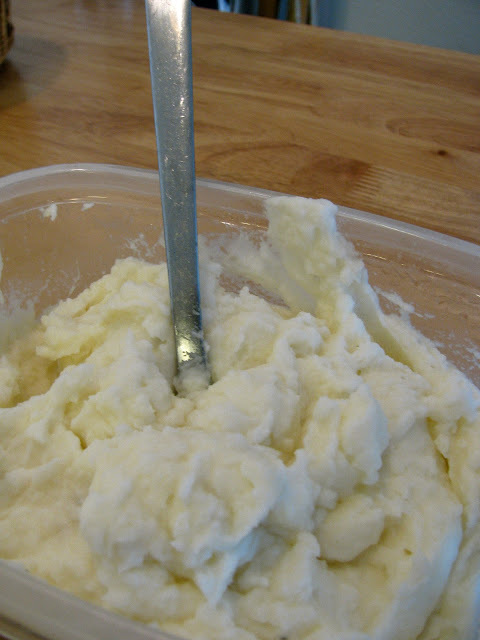 I just made mashed potatoes today, and I make them almost exactly like yours! The only difference is that I put some garlic in and not cream cheese. I had just finished licking the spoon when I saw your post. :) It's true, this is the BEST way to make potatoes. I don't know why nobody knows this! I know... it's how my mom always made them. I LOVE them! Mashed potatoes that only have butter (or worse, margarine!) are just NOT the same.